Getting stuck choosing the best greenhouse? There are many factors to consider, and a variety of options available when it comes to greenhouse setup and design. In this post, I’ll break down and explain some key elements to keep in mind when browsing for your first greenhouse. One of the first considerations is size. Before taking the plunge on a particular model, you’ll want to have your greenhouse site in mind. Pick an open spot with full access to sun. Generally speaking, a greenhouse on the larger end of your range is ideal, which will allow more flexibility and expansion in the future. Even if you simply want a spot for starting your seedlings, you’ll still find that having an extra 10 or 20 square feet will give you more breathing room and workspace, and it might encourage you to expand to a new gardening territory. The glazing material is another important consideration. The glazing type will affect a range of properties, most notably the R-Value, lifespan, cost, and weight. Environmental control is another factor to take into account before deciding on your greenhouse setup. Airflow and ventilation are important for greenhouses of any size, as temperatures can get hot in an enclosed space– it’s a good idea to be aware of the ventilation system of your greenhouse and pick something that’s easy for you to maintain. Fans may be needed for circulation and to help plants develop strong stems, and a shade cloth might be necessary for certain partial-sun plants. We hope this guide steers you in the right direction! Check back every month for articles helpful to both future, current and seasoned greenhouse owners. Next month: basic greenhouse management and tips for new greenhouse owners. In terms of high R-value, low U-value, The 5mm Solexx (polyethylene) is probably the best bet, followed closely by triple wall polycarbonate and double panned glass. But for winter growing you’ll probably want to add additional insulation to the areas of the greenhouse not receiving full sun– you can put up bubble foil insulation on the northern side of the greenhouse, and you should insulate the ground as well. Hope this helps! We get quite a bit if snow in our area. 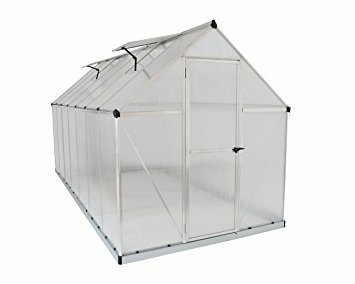 Which style of greenhouse would be best? 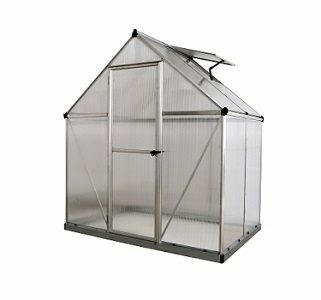 Interested in a lean to type green house. Our home is on the shore of a large salt water bay. I have concern about salt spray and aluminum construction. Also can you comment construction and why acrylic may be better than glass. Also we are in a Northeast exposure to high winds. But the lean to would be on the south west side of the house. Thanks for the article and your response! 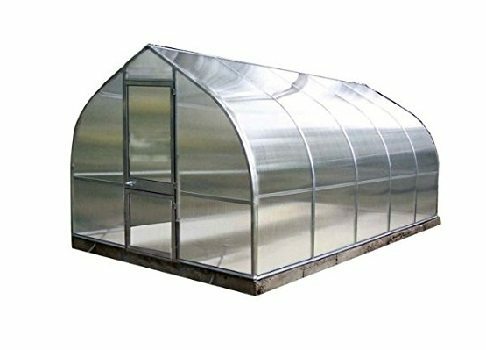 Most of the lean to style greenhouses use a high-strength plastic or wood framing, but you could use a powder-coating on aluminum framing if that is your preference. 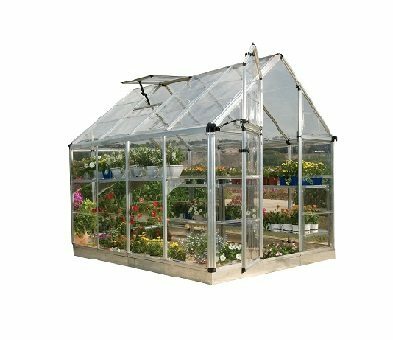 Acrylic and polycarbonate panels offer better light diffusing properties than glass, they are lighter in weight, and often are made to snap together easily for lean to style greenhouses. Glass is still a perfectly viable option, but it will be a bit more costly and difficult to set up initially. I hope that’s helpful, thanks for the question! I like the Colonial Greenhouse from The Little Cottage Company. Looks are very important to me on my Blue Ridge farm. However, this has to be functional as well. I plan to use my greenhouse to start plants earlier than my April 15th frost date. In addition, I would like to try my hand and growing some vegetables totally inside (heirloom tomatoes particularly). It is possible that I might keep some plants year round such as orchids but that I have not decided. This greenhouse has no roof panels that vent that I can see. According to the info, all the windows are functional. There are gable vents. 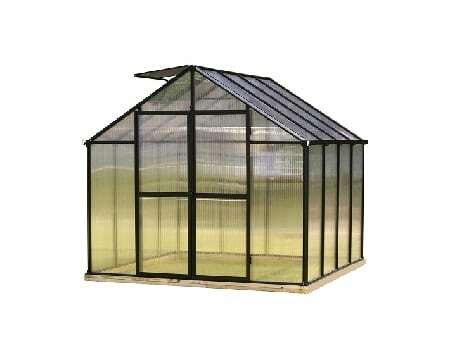 My first question is relative to air circulation– do the options on this greenhouse allow for enough circulation? Also, if I am going to grow some tomatoes in the greenhouse all summer, what would I do about the floor–would a dirt floor with a ground cover cloth be best compared to the floor kit that is an option with the kit? Thanks for your help with these initial questions.